The Integrity Initiative is now trying to smear and attack Seumas Milne, Jeremy Corbyn's communications director and a key voice on the anti-war, anti-capitalist left, tweeting a Times article that appears to have been contributed to by them. The Integrity Initiative is now trying to smear and attack Seumas Milne, Jeremy Corbyn's communications director and a key voice on the anti-war, anti-capitalist left, tweeting a Times article that appears to have been contributed to by them. They also retweeted Michael Weiss on Milne, who they appear to want to remove from a future Corbyn government in the vein of that Spanish minister This should be a HUGE scandal given that this is funded by the UK government and thus the Tory administration and is thus GOVERNMENT PROPAGANDA against the leader of the opposition, paid for by the taxpayer and in line with big business/military Euro-Atlanticist lobby. Thanks to the digital urban guerrilla site for exposing this assault on socialism and the public. 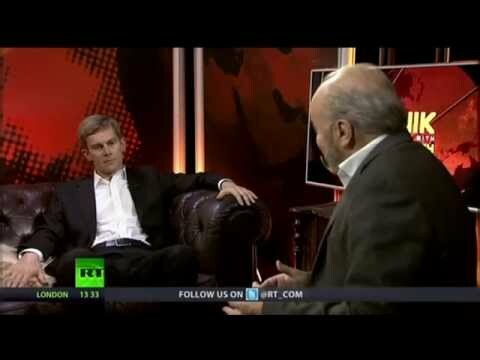 Caption: Milne and George Galloway of Stop The War. Milne has been under fire for his antiwar views.